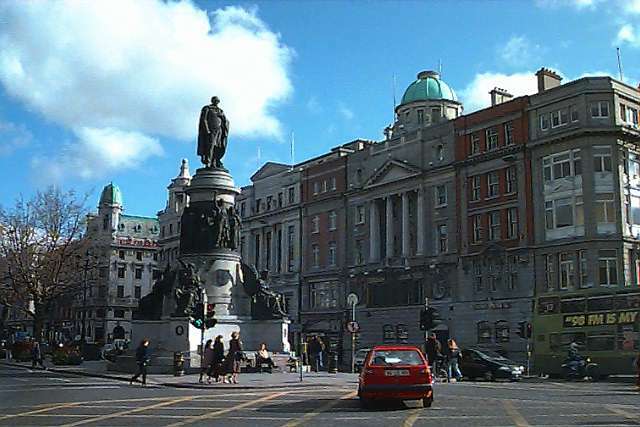 Okay, so my first impressions were positive: the weather was a vast improvement on Glasgow, the taxi driver was friendly, talkative and full of advice (a big deal for someone from New York City) and all of the major landmarks were within walking distance of my hotel on O'Connell Street, just a couple of blocks from the River Liffey. 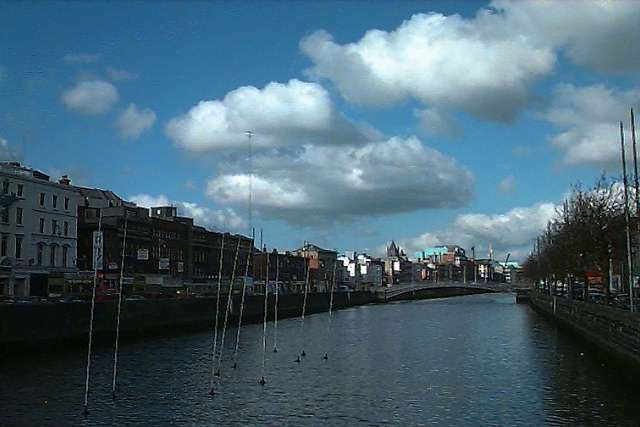 I came to Dublin to relax; I could have done that just walking around town and listening to people talk. 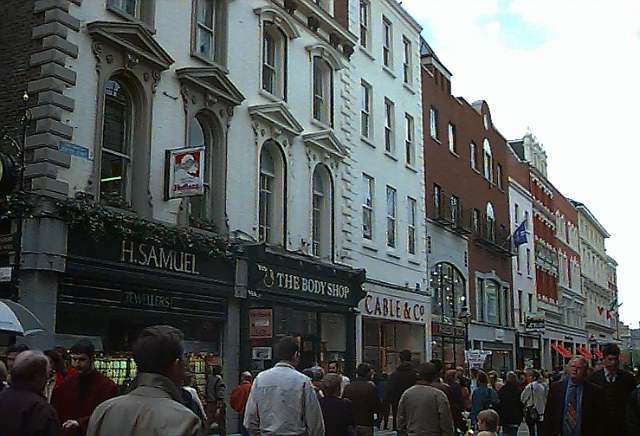 On the left we have Grafton Street, a pedestrian shopping street that's flanked on the north by the statue of Molly Malone (The Tart With The Cart) and on the south by St. Stephen's Green. This is the upscale (and tourist, which are frequently the same thing) shopping district. 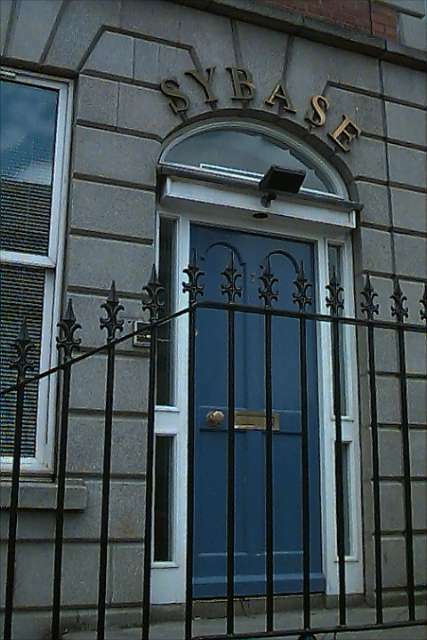 The other major shopping street is Henry Street, on the other side of the Liffey. Things are a little less touristy here, with side streets like the one on the right where the real people shop. I shot this around nine in the morning, which explains the lack of crowds. A couple of hours later it was much busier. 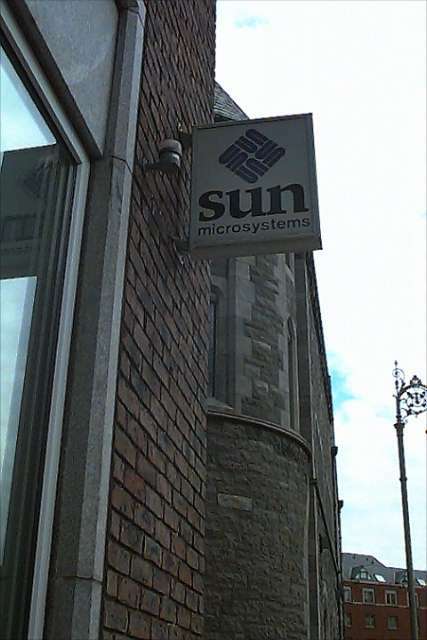 In spite of my best efforts, I did get a taste of Dublin's less secular history. 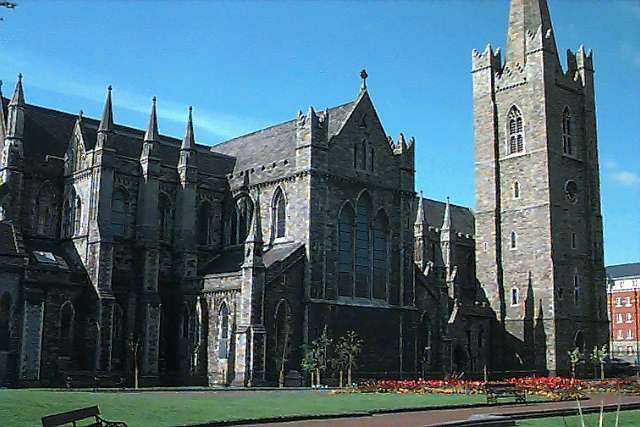 It came in the form of its two cathedrals: Christchurch and St. Patrick's. 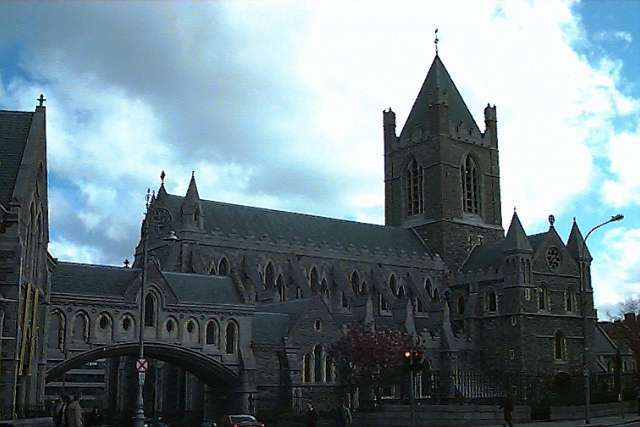 Christchurch is attached by a bridge to Dublinia, a multimedia show on Dublin's history. (I didn't know that modern Dublin descends primarily from an English settlement, protected with walls to keep the wild Irish out. Fortunately, the natives here have finally emerged from their encounter with England in somewhat better shape than did native Americans or Australians.) 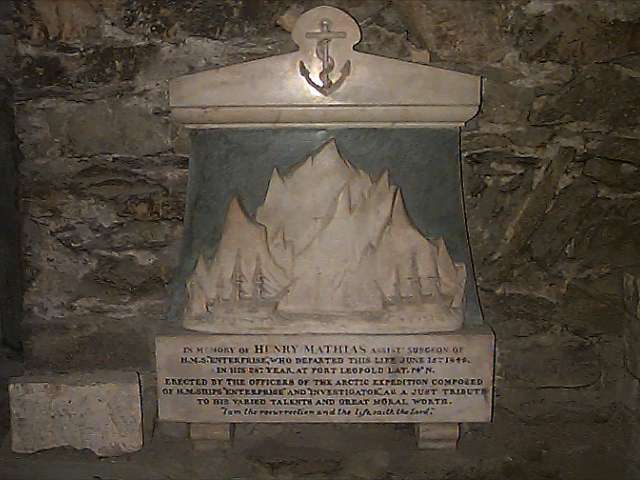 For me, the best part of Christchurch Cathedral was wandering through the crypt beneath and viewing the monuments to earlier times. 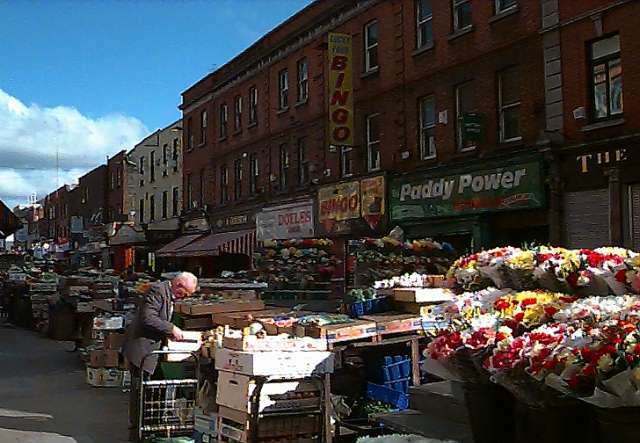 Amusingly enough, Dublinia is flanked to the left and right by relics of a more recent age.